Description Yo Yogi! 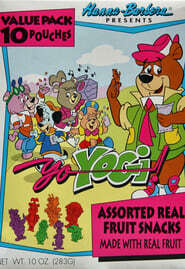 1991 Yo Yogi! is an animated series and the sixth incarnation of Hanna-Barbera's Yogi Bear. It first aired in 1991 on NBC on Saturday morning. List of Seasons Yo Yogi! More about Yo Yogi! Yo Yogi! is an animated series and the sixth incarnation of Hanna-Barbera's Yogi Bear. It first aired in 1991 on NBC on Saturday morning.